Jaeger O'Meara is officially a Hawk. Hawthorn Football Club can confirm Jaeger O’Meara will join the Hawks after a deal was reached with Gold Coast today. 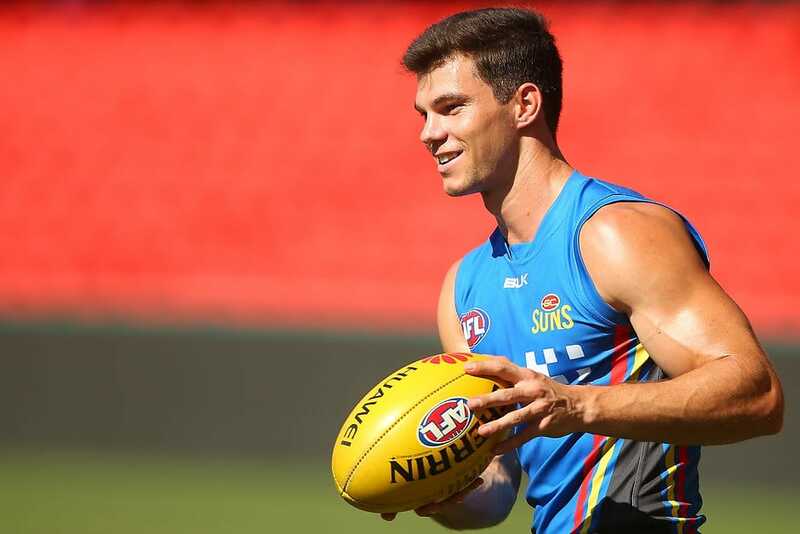 In exchange for O’Meara, Gold Coast will receive pick 10 and Hawthorn's future second round selection. Hawthorn also secured a second round selection (GWS') from Carlton in exchange for picks 48, 66, and 70. The Giants traded this second round selection to Carlton earlier today. “We are pleased that a deal has finally been reached to bring Jaeger to Hawthorn. “It has been a lengthy process and we are rapt that we can now officially welcome him to our club. “At only 22 years of age he is an exciting prospect and has many years of good football ahead of him. “He has undergone some recent injury troubles, however we are confident that our medical and conditioning staff can work with Jaeger to see him produce his best football. O’Meara was drafted to the Suns as pick no.1 in the 2011 NAB AFL Mini Draft. He has played 44 career games and was the 2013 Rising Star recipient.